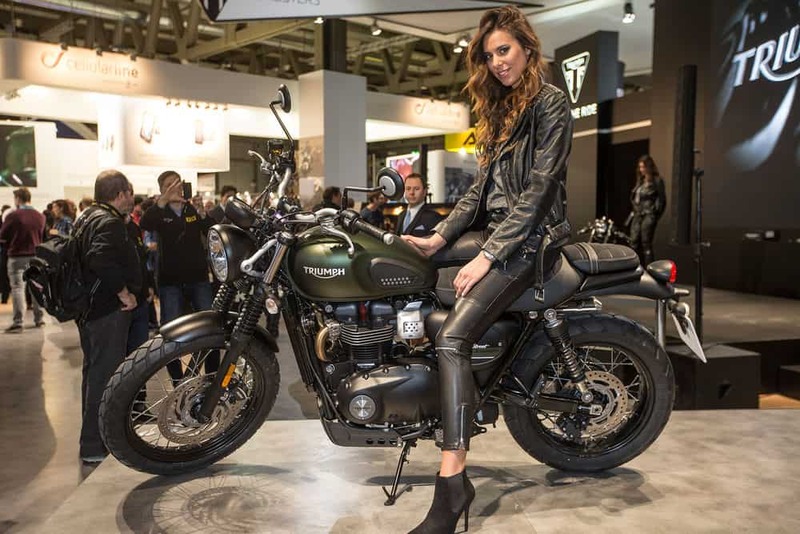 Triumph has taken the wraps off their new 2017 Triumph Street Scrambler this morning at the EICMA show in Milan, Italy, and aim to prove that they still reign king when it comes to the popular scrambler category. 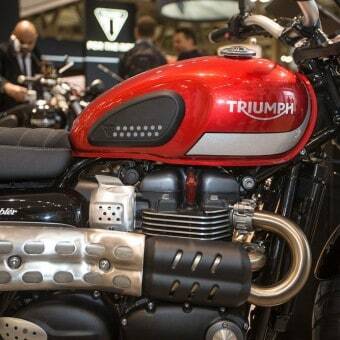 The new bike is built around Triumph’s new Street Twin, which uses their all-new 900cc parallel twin motor. 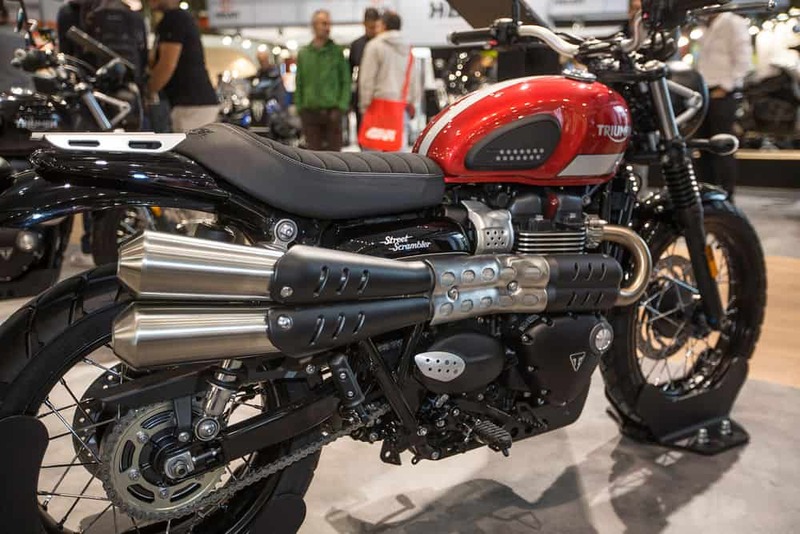 The platform, which also spawned the new T100, T100 Black, and Street Cup cafe racer has been incredibly well received, with the little motor taking a spot in most of our staff’s hearts right behind Triumph’s new halo Thruxton R.
This new Street Scrambler takes that 900cc “high torque” engine from the Street Twin and puts it in a new, more off-road biased chassis. 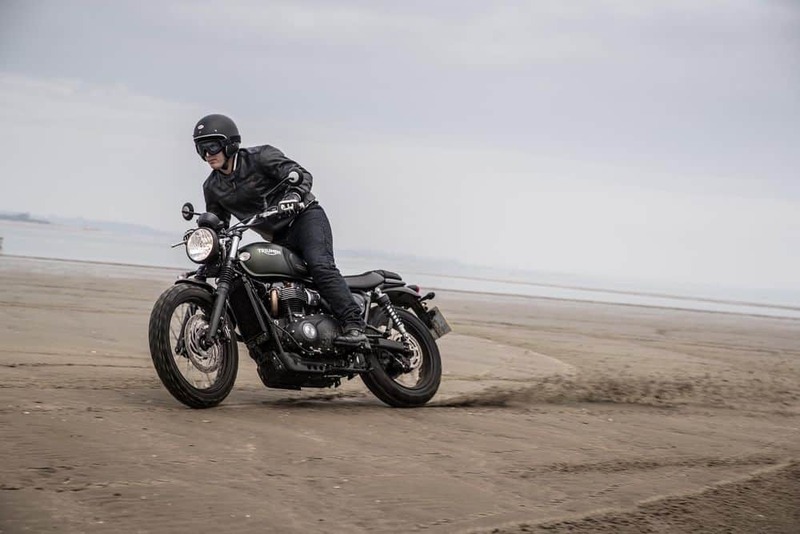 Compared to the outgoing Triumph Scrambler, the new rear shocks are longer and the bars wider, which should give it a better stance for riding in the dirt. 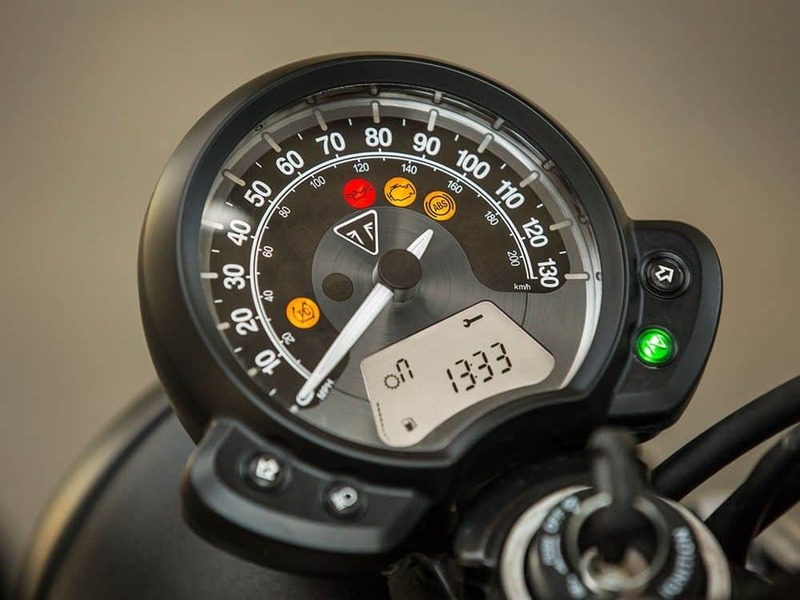 It also gets ride-by-wire fueling and switchable ABS that are unique to the Street Scrambler, in addition to traction control and a torque assist clutch. 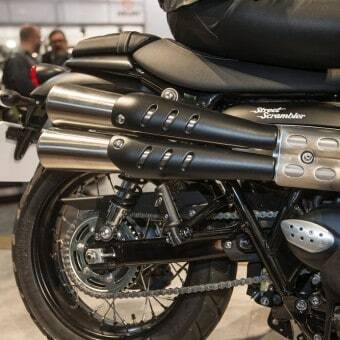 And of course, no Triumph Scrambler would be complete without that beautiful high exhaust pipe. 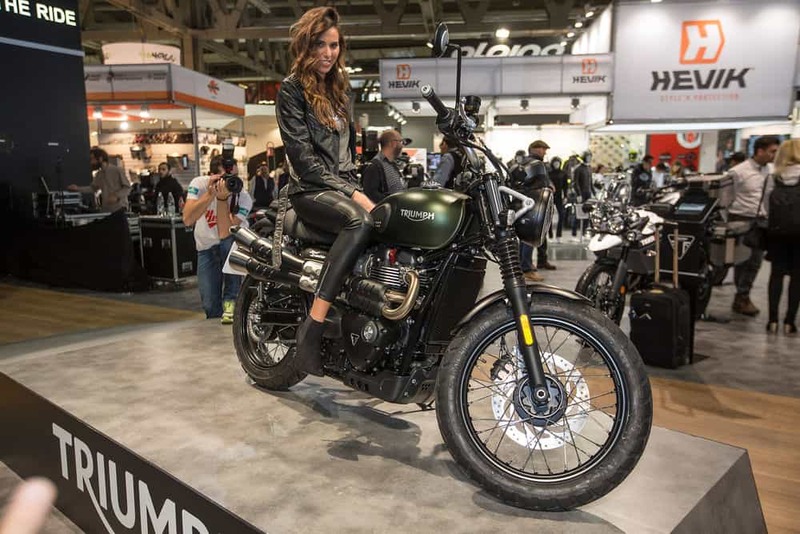 While Ducati have pushed their Scrambler further into the dirt this EICMA with the Desert Sled, the Triumph version seems to focus much more on looking stylish on the street. 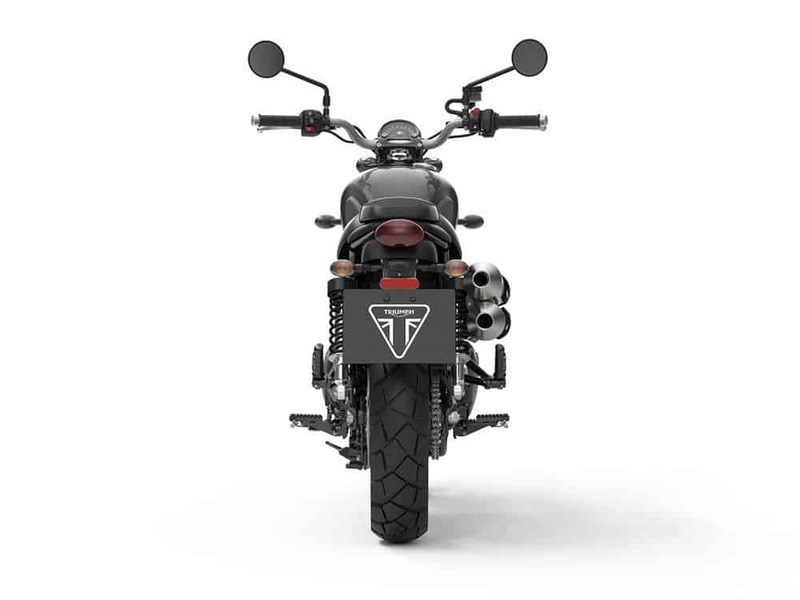 Triumph have definitely improved the lines of their new Scrambler, and the press release boasts premium finishes, graphite badges, brushed aluminum tank decals, an interchangeable pillion seat/rear aluminum rack that comes standard, number-board side panels, and a custom parts catalog with over 150 items to further customize the bike. 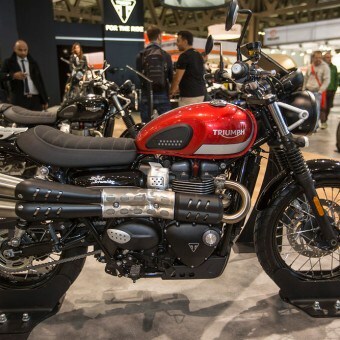 They claim a lower seat height (but give no specs), and offer no information yet regarding the suspension length or travel, weight of the bike, or pricing. 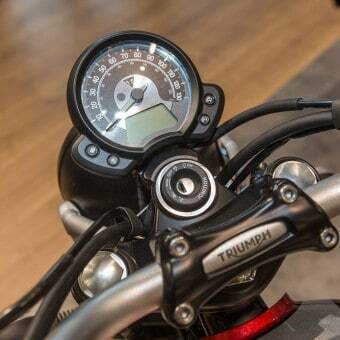 The one thing they do give us is that the Street Scrambler has a service interval of 10,000 miles. As much as I want to not like this bike (because fake carbs), I think they did a really nice job with the aesthetics of the bike. Triumph understand better than most that the little finishing touches on a bike can make a huge difference in the perception and overall happiness of someone swinging their leg over the thing, so I really appreciate things like the black bezel on the headlight or the aluminum bracket used to attach it, the rubber knee pads in the tank, the finish of the new mirrors, the bash plate, or the beautiful machined speedometer face. Mini rant: I think we need to stop being so angry about scramblers that don’t scramble. 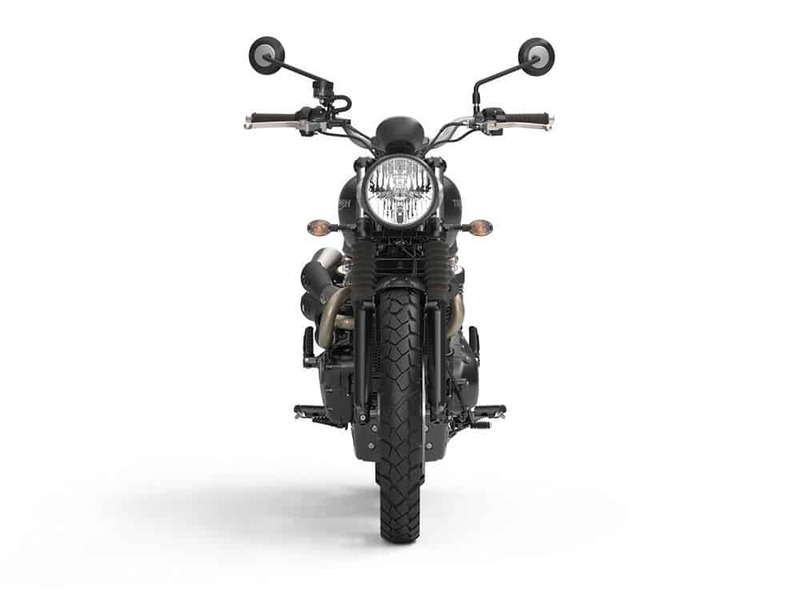 At this point, the term “scrambler” is like “cafe racer” in that, at least to me, it describes a specific aesthetic style of bike. It’s a style that’s en vogue now and for good reason, because they’re cool looking and nice to ride. 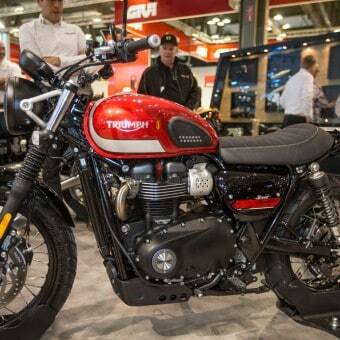 In the same way that no one is racing from cafe to cafe on their cafe racers, I think there’s nothing wrong with just liking the looks and riding position of these bikes and riding them around the streets. All of that said, it’s still something worth discussing for people who actually do want to scramble, so we can help them get onto something that actually can go in the dirt. All of this to say, we’re going to talk about these bikes a lot and give ourselves permission to like them, even if that’s just because they’d be great daily riders for people who think they look pretty. Because we’d love one of the bikes in this category parked in the garage next to the dual sport. 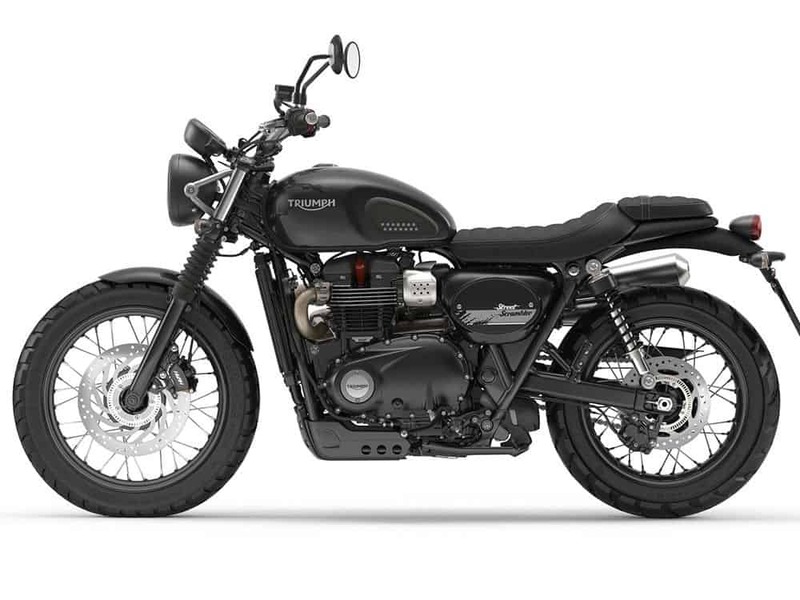 This thing will likely have the same issues as the outgoing model when it comes to going off-road but, if you’re into scramblers as a style, this thing nails it better than anything else on the market. The choice of the 900cc motor over the 1200cc one is an interesting one, but with a name like Street Scrambler, it seems Triumph are aiming at a much different market than BMW did with their R nineT Scrambler (though I expect they’re still going to try and take us on a fire road or two when they launch the thing). 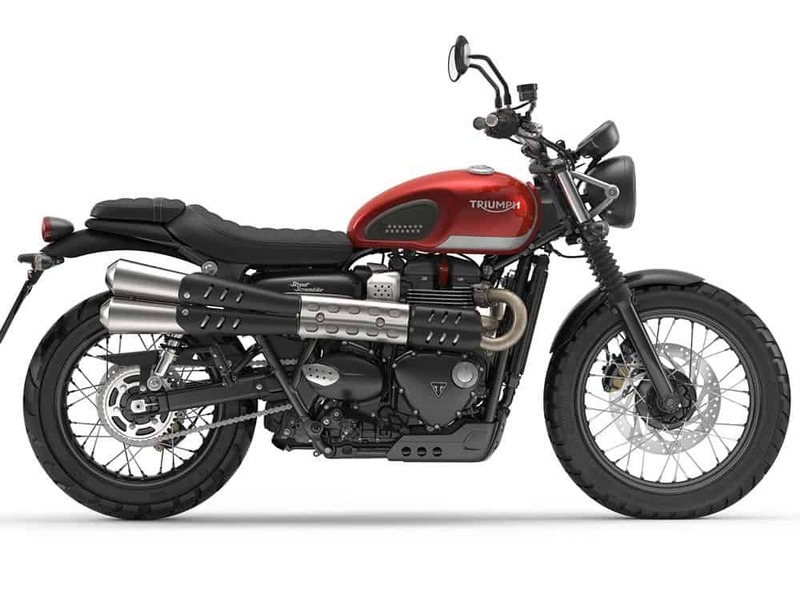 I still haven’t had a chance to ride the Street Twin but, outside of the Thruxton R, it’s the favorite of the other staffers around here which makes me think Triumph might have nailed it with the motor (even if it isn’t impressive on paper with only 55 horsepower or so). 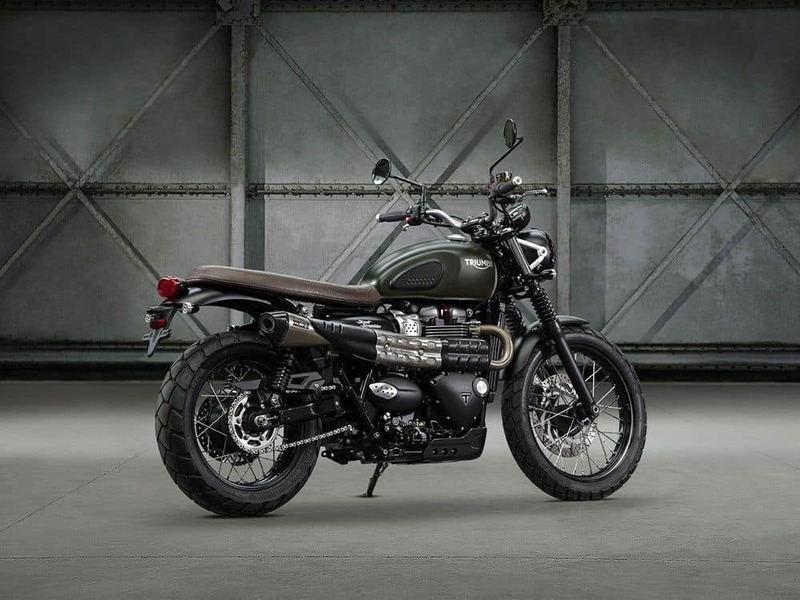 For those of you dying to get a look at the new Street Scrambler in person, Triumph is taking it on a tour called the “Brutal Beauty Tour,” which has over 50 stops where you can check it and the rest of their modern retro line out. For more info about the dates of the stops, which take place all over the U.S. and Canada, check out their For The Adventure site. 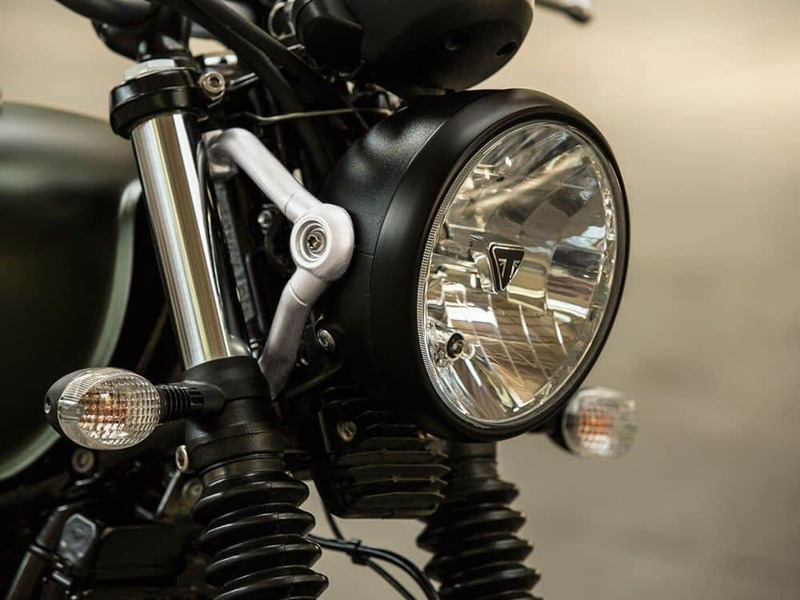 What do you think of scramblers released in the last few years? Which is your favorite? Don’t forget, the Husqvarnas are still to come, though those take a decidedly different take on the look. 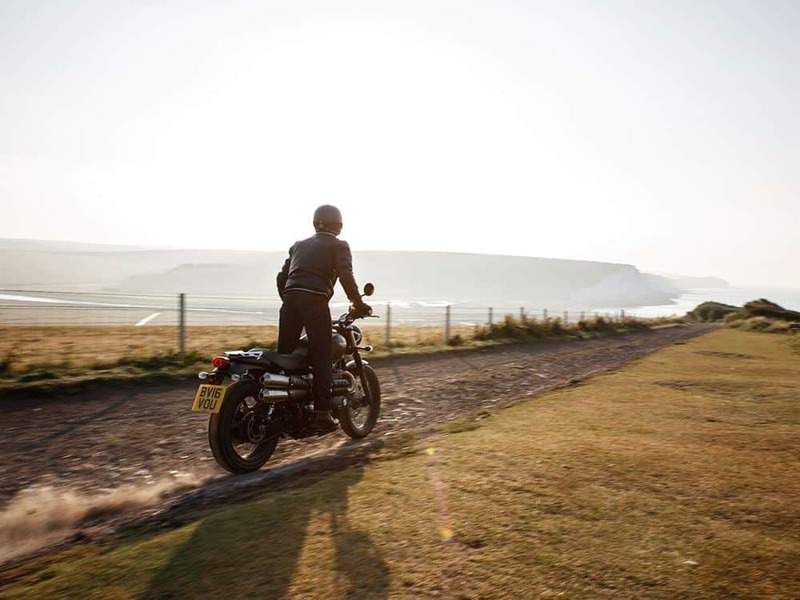 This entry was posted in Blog and tagged 59 club, brit iron, dual sport, scrambler, triumph.